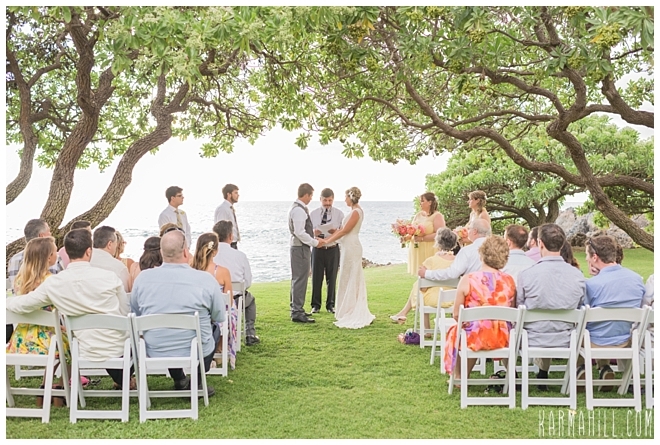 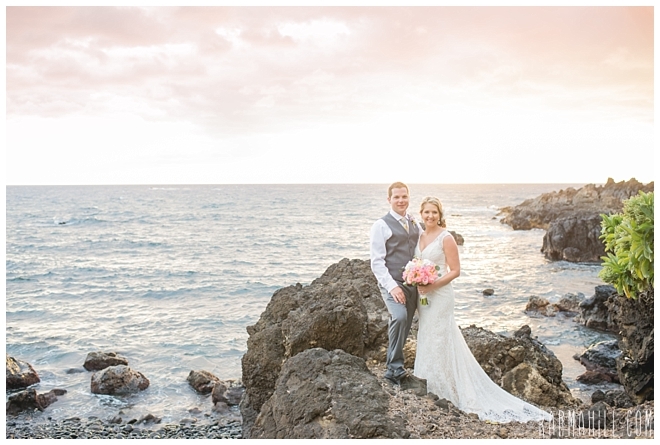 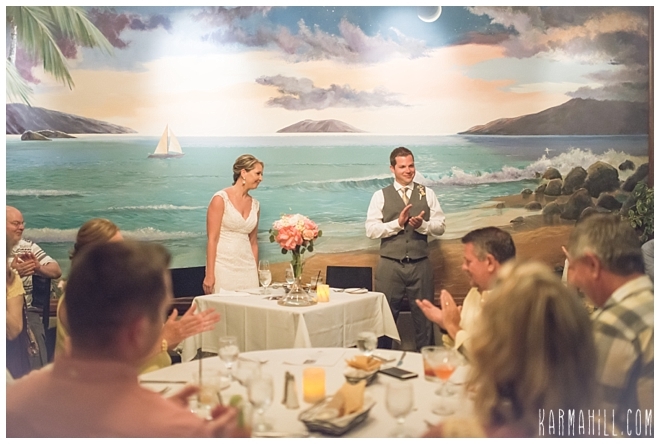 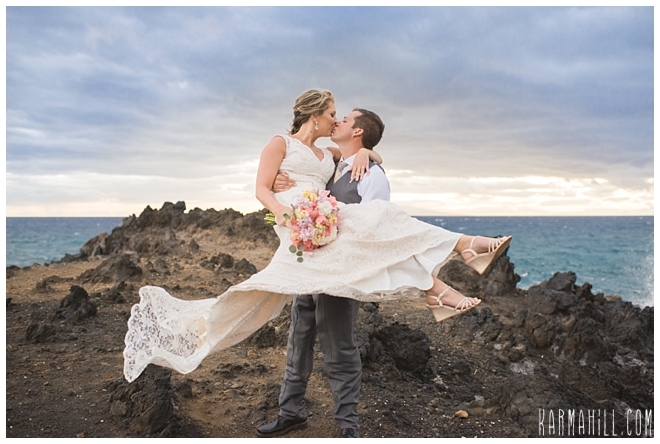 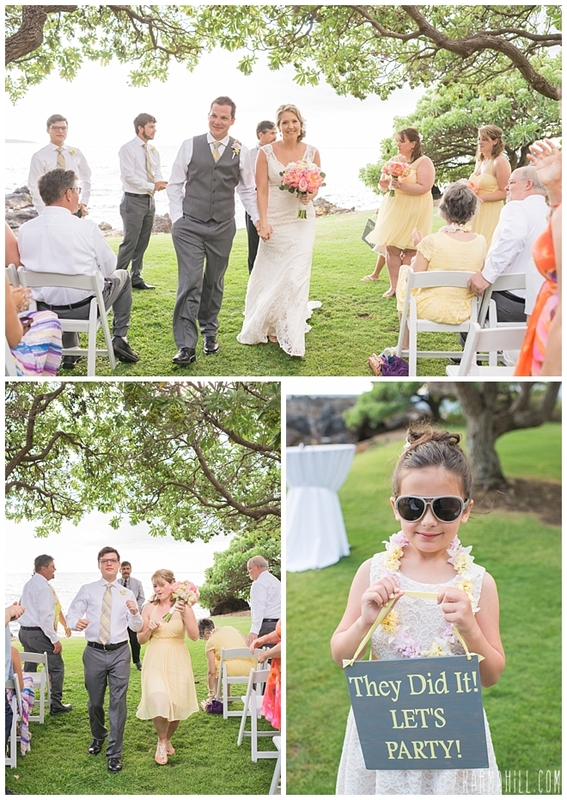 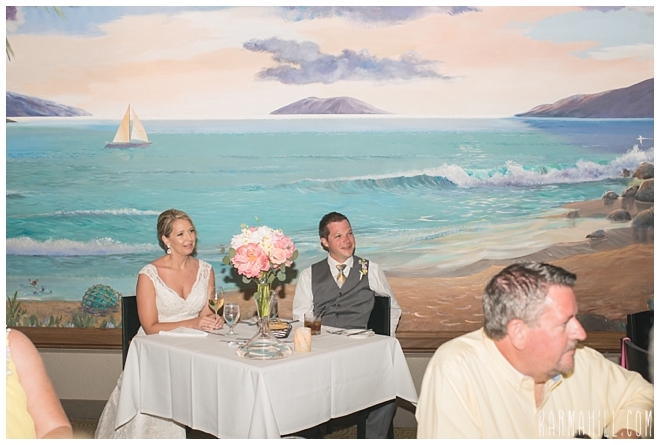 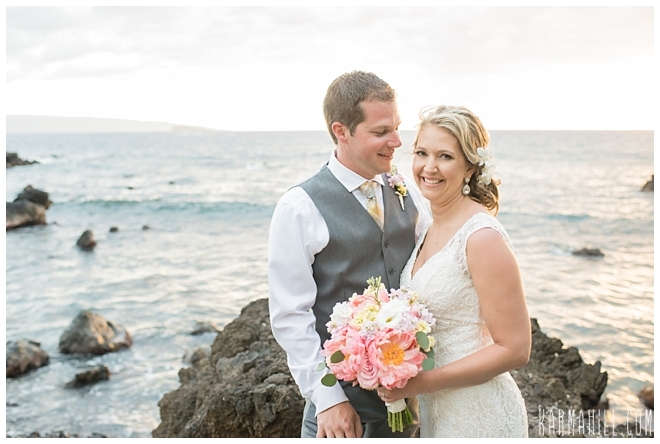 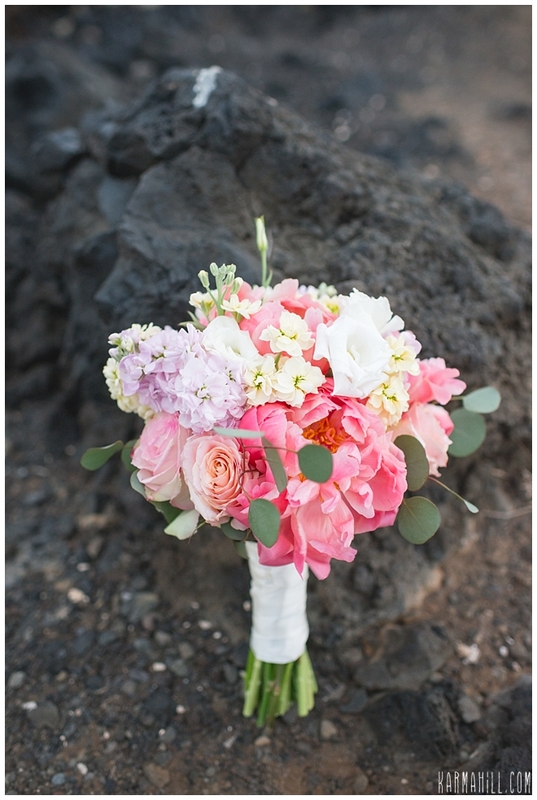 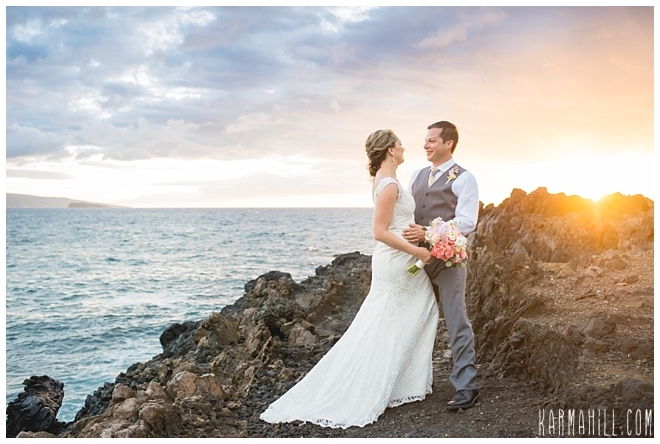 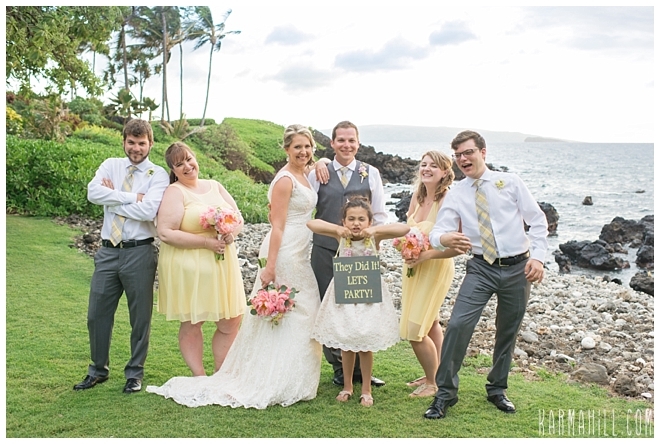 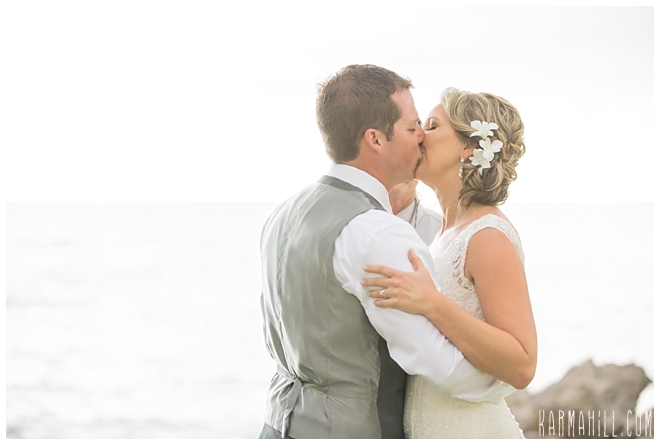 Kara & Cameron were such a sweet couple and we were honored to be a part of their Maui venue wedding! 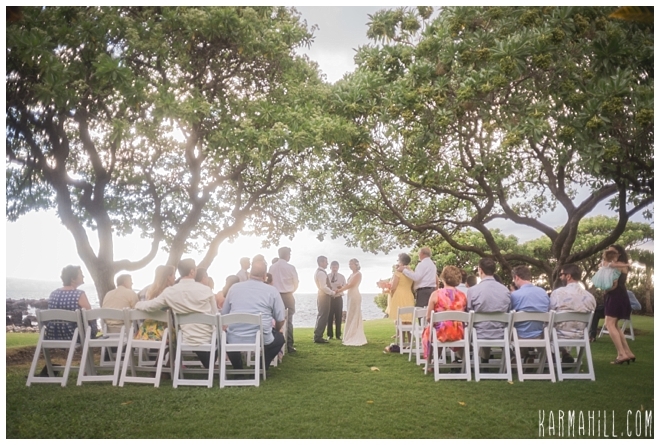 They were accompanied by lots of friends and family and the Kukahiko Estate was the perfect location for this lovely crowd. 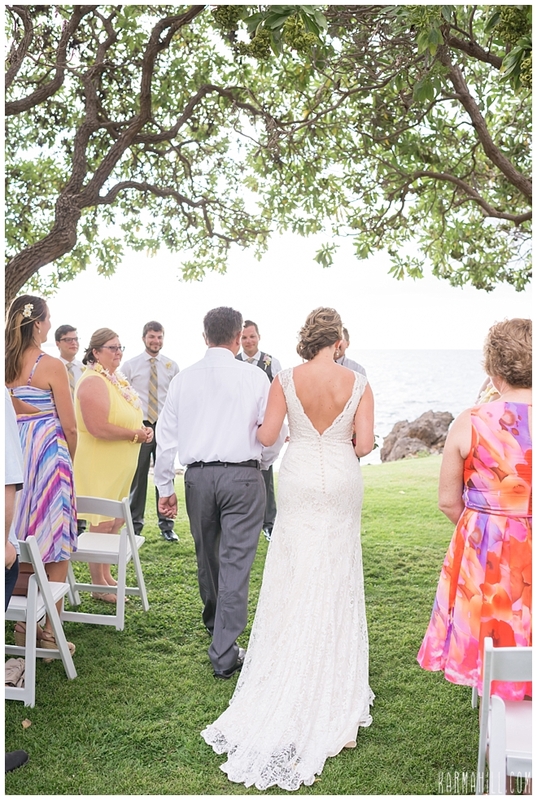 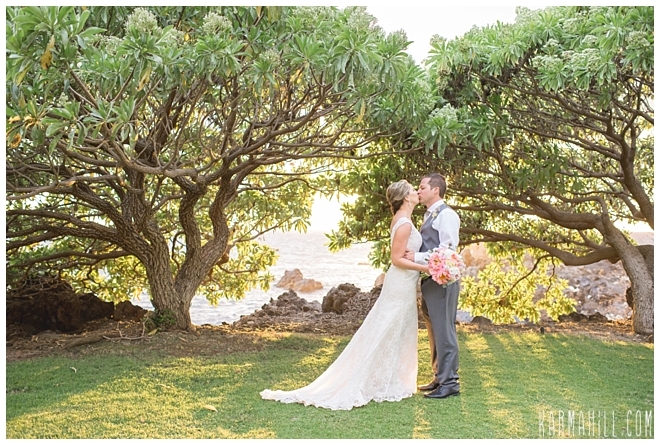 They were situated just between the beautiful trees overlooking the ocean, one of the best Maui Wedding Venues. 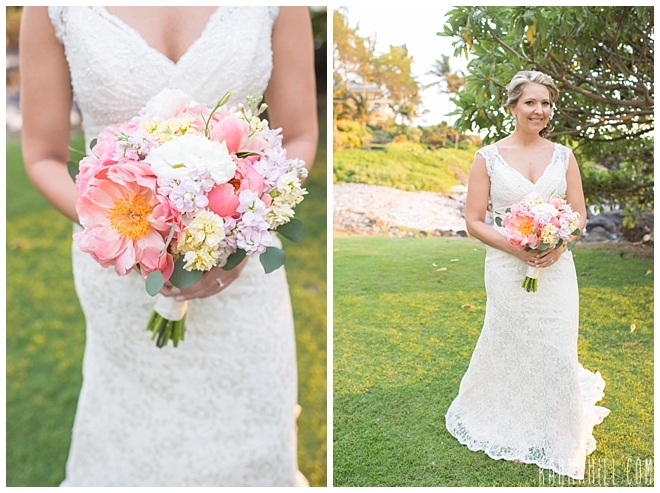 Kara looked stunning in her lacy dress with her hair and makeup all done by the fabulous team at Salon 253. 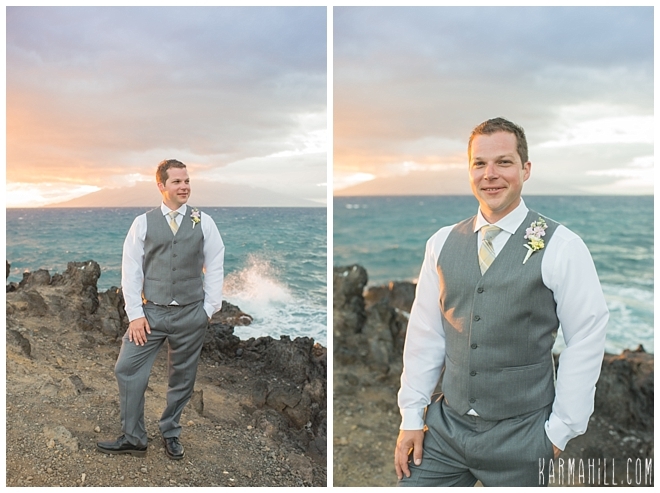 Cameron looked quite dapper himself waiting for his beautiful bride to walk down the aisle. 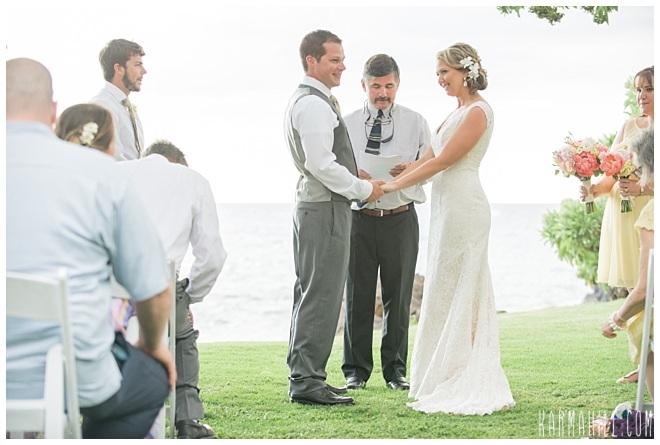 They were married by a close friend of theirs and then after they were pronounced husband and wife it was time to celebrate!!! 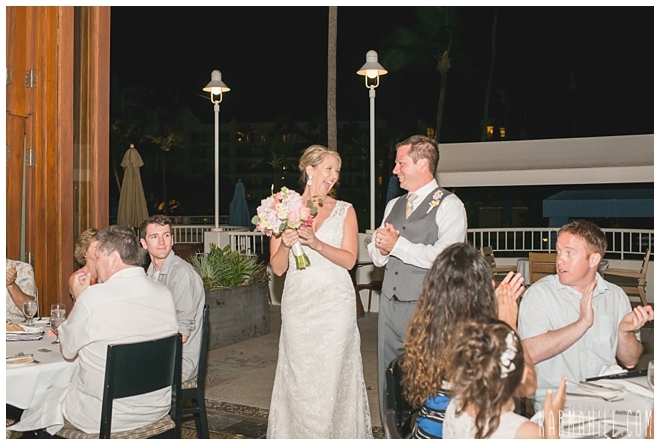 They offered their guests a champagne toast and then hosted the real party at Nick's Fishmarket in the Fairmont Kea Lani. 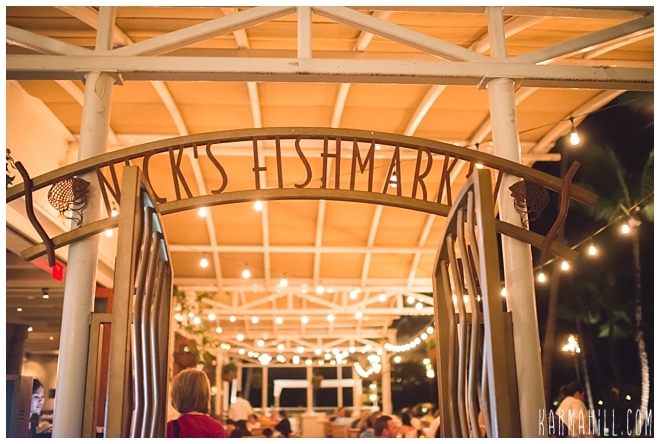 Nick's Fishmarket has a spectacular private dining room, amazing food and top notch service to really make their evening something to remember. 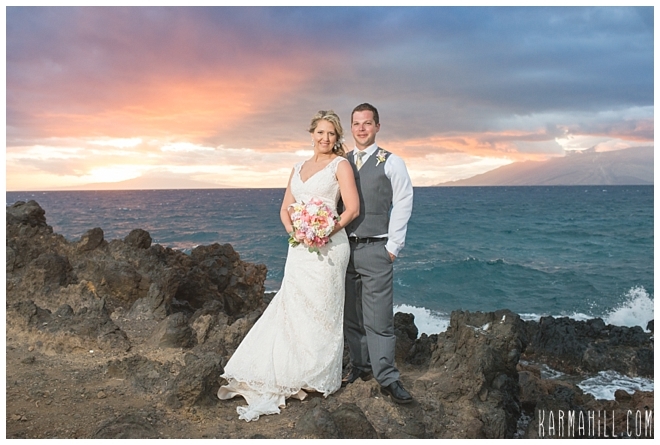 Congratulations to Kara & Cameron on their Maui wedding! 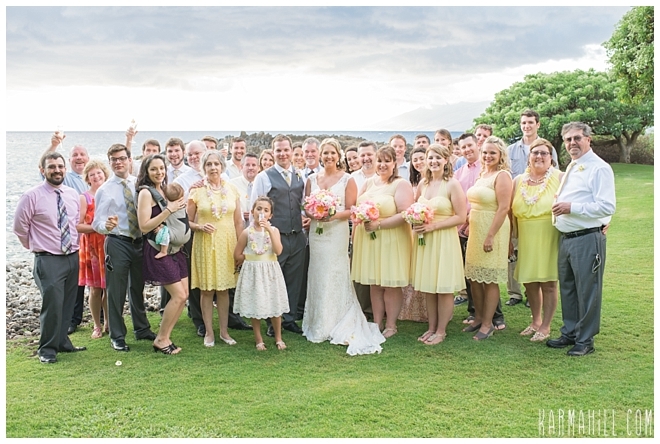 Mahalo for choosing us to be a part of it and we hope to see you again in Maui soon! 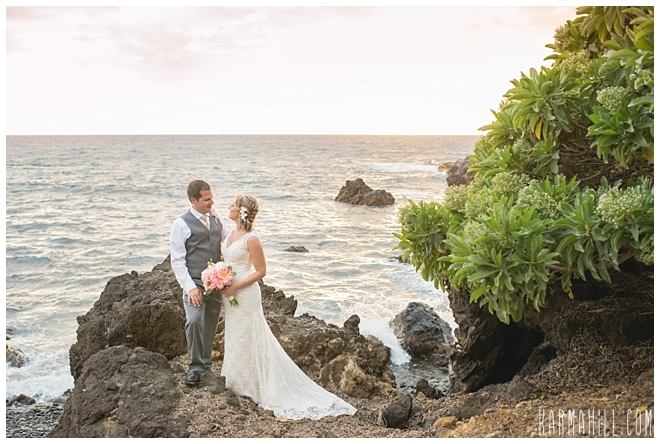 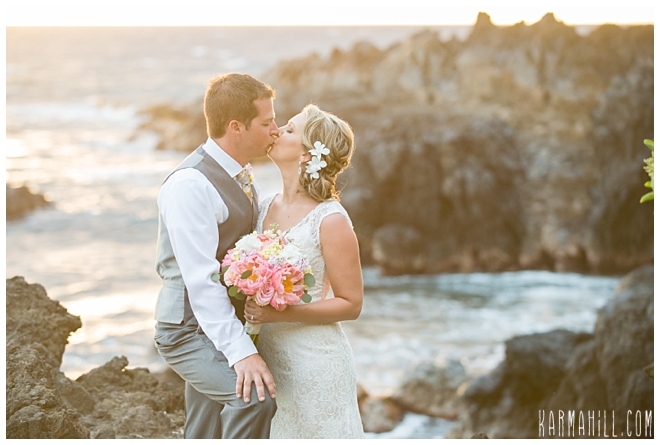 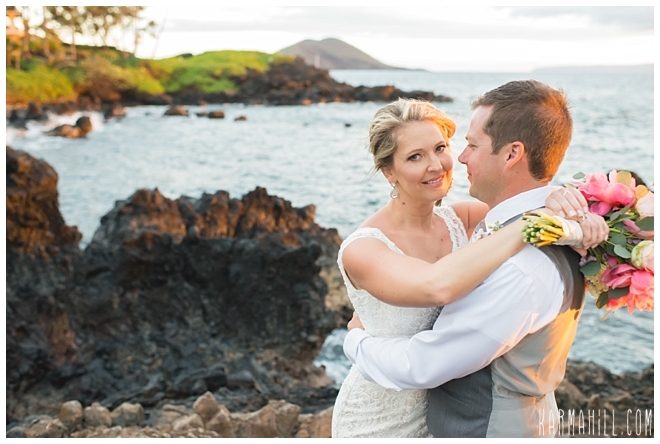 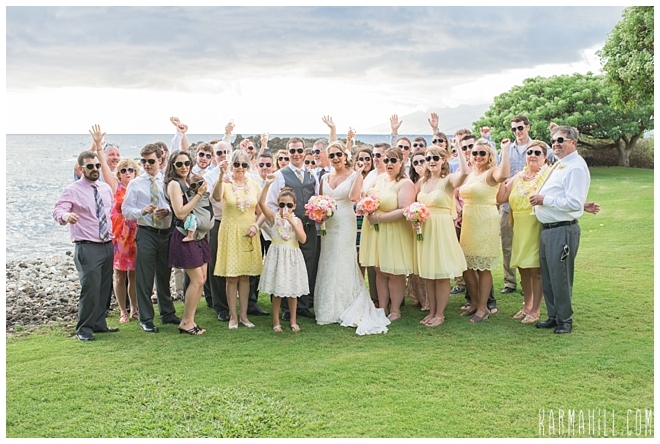 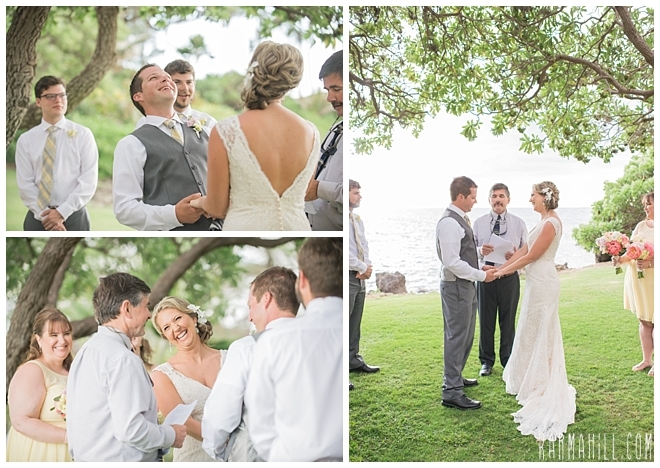 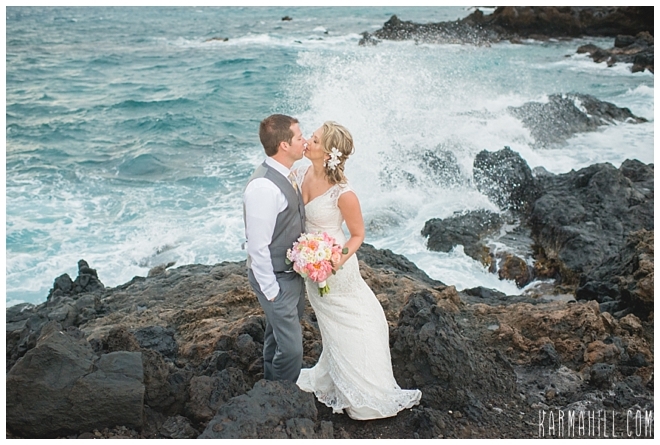 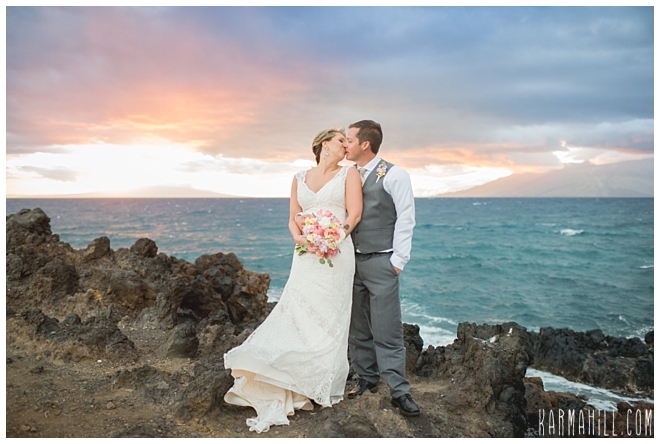 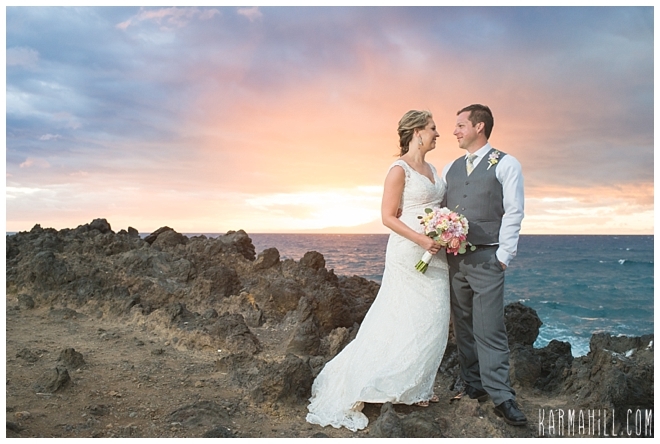 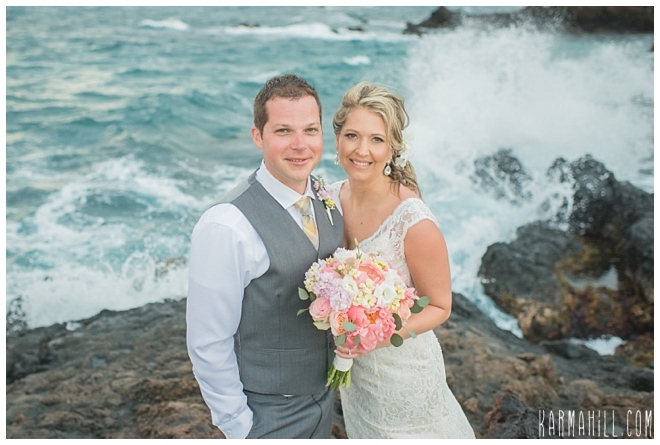 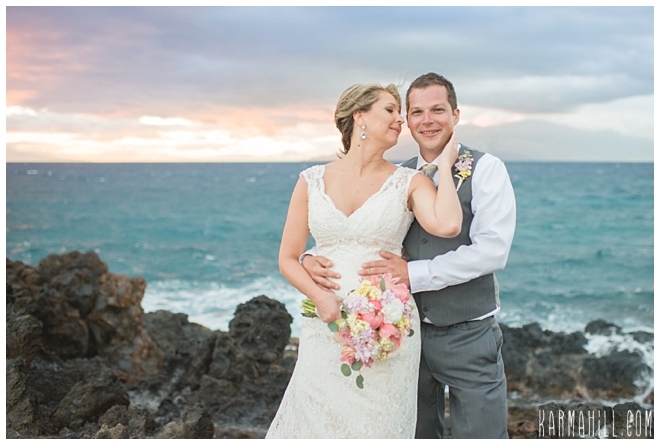 Check out our last Maui venue wedding with Nic & Sarah!